This is our old website - it is only online enough to support the account management functions - all other pages are redirected to the new website here. Faith Pincus is available to speak at your office, retreat, firm or association meeting, or other event - nationally and internationally. Faith can be booked for sixty to ninety minute Keynote speeches or more in-depth training presentations that last between ninety minutes and four hours. Seminars plus post-seminar coaching packages can last from one to two days. Pincus Professional Education supports the Bill Foundation's efforts to rescue and place abandoned animals in safe and loving homes. We hope you will too. 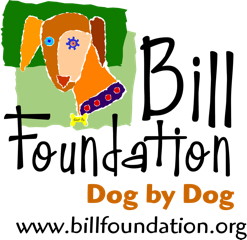 The Bill Foundation is a Los Angeles based 501c3 non-profit animal rescue. Here and now, we rescue as many dogs as possible to alleviate the suffering of those abandoned in shelters or on the street. We strive to provide the highest standard of vet care and training until our dogs are adopted into stable, safe, loving homes. Since receiving our nonprofit status in May 2000, Bill Foundation has rescued and placed more than 2200 dogs and counting.